HTC's U11 Life has the features of a premium phone but costs half as much. Should you buy an HTC U11 Life? The U11 Life might very well represent the future of HTC’s smartphones. Its recent crop of premium handsets have mostly been overshadowed by similarly spec'ed flagships from Samsung and Google. But if HTC proved one thing this year, it’s that it isn’t out of interesting—and marketable—ideas. In fact, Google liked the U11’s squeezable Edge Sense so much it incorporated the feature into the Pixel 2 and bought HTC’s entire smartphone team for a cool billion dollars. 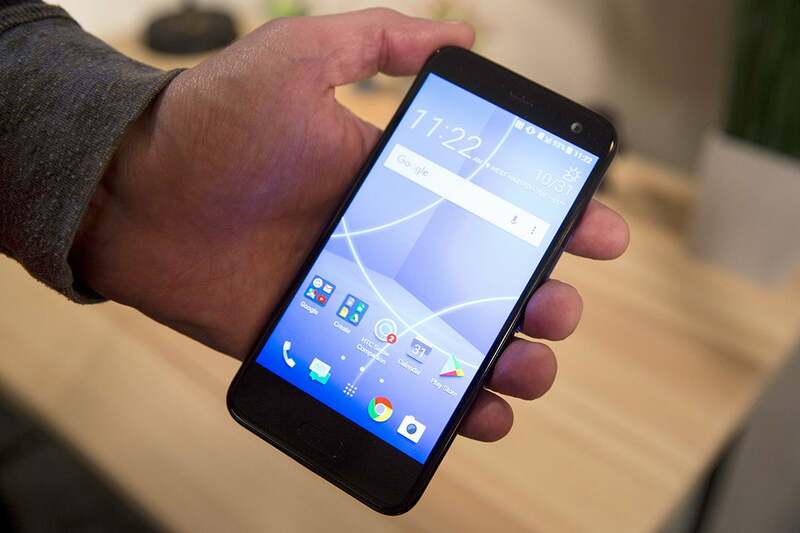 So, while it might not have a large OLED display, top-of-the-line specs, or the slim bezels that are all the rage, the $350 U11 Life could very well be HTC’s end-of-the-year sleeper hit. And there’s a good chance we’ll see a lot more Life-like phones from HTC in 2018. 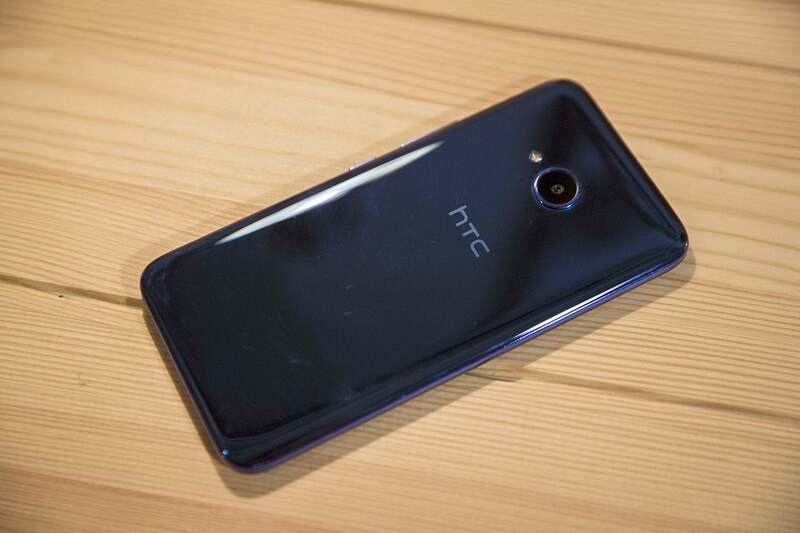 With a “liquid surface” case and pill-shaped home button, the HTC U11 Life is basically a smaller version of the HTC U11, right down to its asymmetrical forehead and chin. Even the back looks and feels exactly like its predecessor's, though it’s made of plastic instead of glass on the Life, making it much less prone to picking up fingerprints. 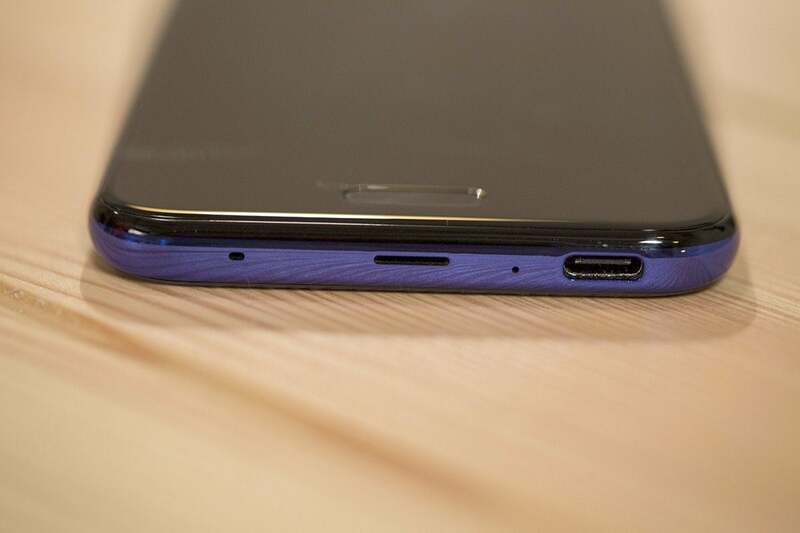 In fact, the only real visual change is a curious one: HTC has centered the speaker on the bottom edge and pushed the USB-C port off to the right. That means you’ll be trying to plug your charging cable into the speaker a lot. The HTC U11 Life has a home button just like the U11. As you can plainly see, the HTC U11 Life doesn’t pack nearly the punch that its Snapdragon 835-equipped older sibling does, but it’s also not as underpowered as its spec sheet suggests. Its Snapdragon 630 chipset is an upgraded version of the decidedly middle-of-the-road 625, but I found it to perform roughly in line with last year’s top-of-the-line chips, at least in normal use. Apps launch and switch quickly, scrolling is smooth, and I only saw slight lag with more taxing animations like closing a screen while a video was playing. Even a game like Eternium loads quickly and plays smoothly. Granted, I only used the U11 Life for a week, so long-term performance could be an issue. But out of the box, the U11 Life doesn’t feel like a crippled handset. 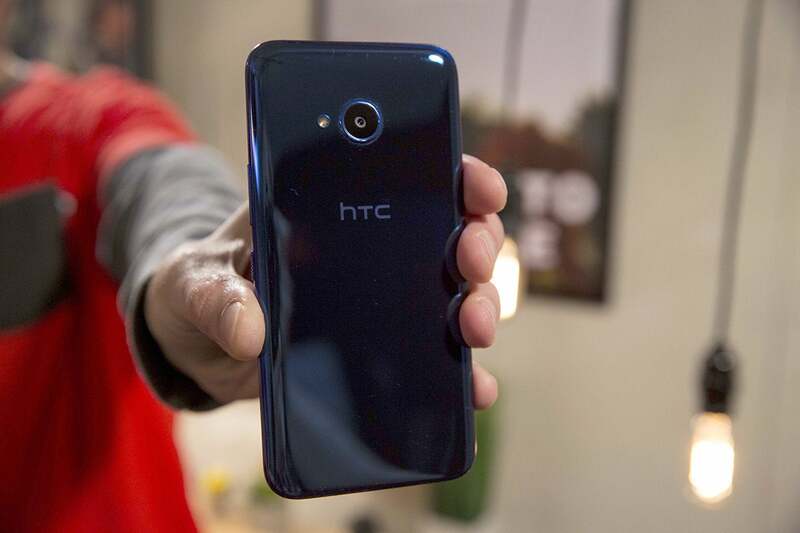 HTC says its goal with the HTC U11 Life was to create a feature-rich phone at half the price, and by that measure it certainly delivers. You get IP67 water resistance, built-in Alexa support, and HTC’s USonic noise-canceling earbuds—all features that are hardly standard on $350 handsets. With Edge Sense, you can fool your friends into thinking you have a Pixel 2. You also get the U11’s premier feature, which lets you squeeze the sides of the phone to launch apps and actions. Called Edge Sense here, it’s actually much more useful than the Pixel 2’s Active Edge. Like the rest of HTC’s U lineup, the U11 Life doesn’t have a headphone jack, but it does include a pair of noise-canceling USB-C USonic earbuds in the box. That’s a nice perk for a mid-tier phone, and as we learned on the U11, they sound good enough to become most users’ main buds. While HTC has opted for features over raw specs in the U11 Life, its 2,600mAh battery will get most people through a full day. HTC is calling the U11 Life a "lifestyle" phone, so its target audience user is someone who's going to be casually snapping selfies, sending texts, and checking Instagram feeds. For most such people, the battery will supply plenty of juice. And if not, it charges pretty fast, using a homegrown mechanism that brings it from the red to full in just about an hour. In the real world, I was able to get through most of a normal day on a single charge (and I tend to use my phone a lot). Benchmarks pegged battery life at 6:24, only slightly less than the U11 (7:11) and better than the LG G6 (6:16), both of which have larger 3,000mAh batteries. This speaks to the power efficiency of the 630 chip, though I can’t help but wish HTC had used a slightly larger battery. HTC's Sense UI stays pretty faithful to stock Nougat—and Oreo is on the way. The U11 Life runs Android Nougat 7.1.1 out of the box, which isn’t all that surprising for a mid-range phone. What is surprising is that HTC is promising to deliver Oreo to the U11 Life by the end of November, which would make it one of the first non-Pixel phones to get it. Furthermore, HTC told me the upgrade would bring many of the new Android 8 features, most notably picture in picture. 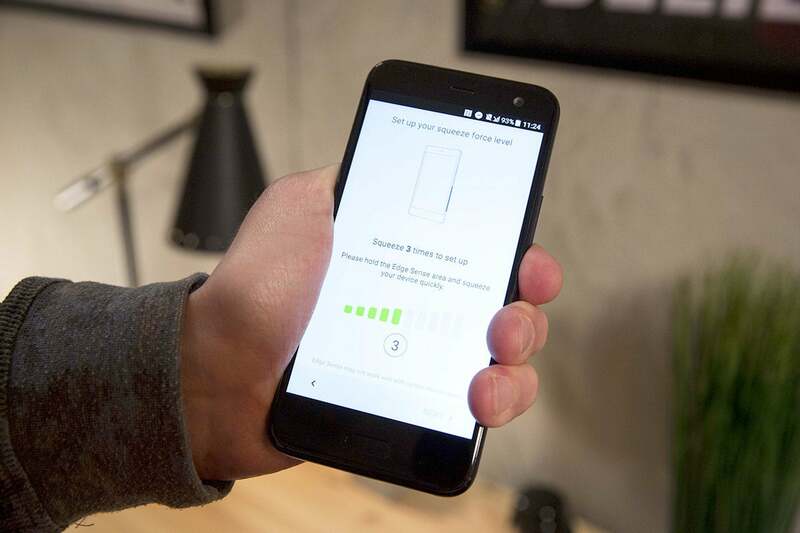 HTC’s Sense UI is relatively faithful to stock Android, with thoughtful additions and meaningful tweaks that generally improve upon the experience. Many of the more overt changes—such as its Edge Companion assistant and BlinkFeed content screen—can easily be switched off. It’s not quite stock Android, but it looks good. The U11 Life has 16MP front and rear cameras. As they say, megapixels alone don’t make a camera great. Still, it’s nice that HTC hasn’t downgraded the selfie camera just to boost the U11 Life’s bottom line. Along with the 16MP sensor, the main camera sports an f/2.0 aperture with phase detection auto focus and 4K video recording. Translation: It takes pretty good pics but you won’t be blown away by the quality. Auto focusing is quite slow when your subject isn’t standing perfectly still, and the camera app can be jumpy and laggy at times (particularly with HDR turned on). 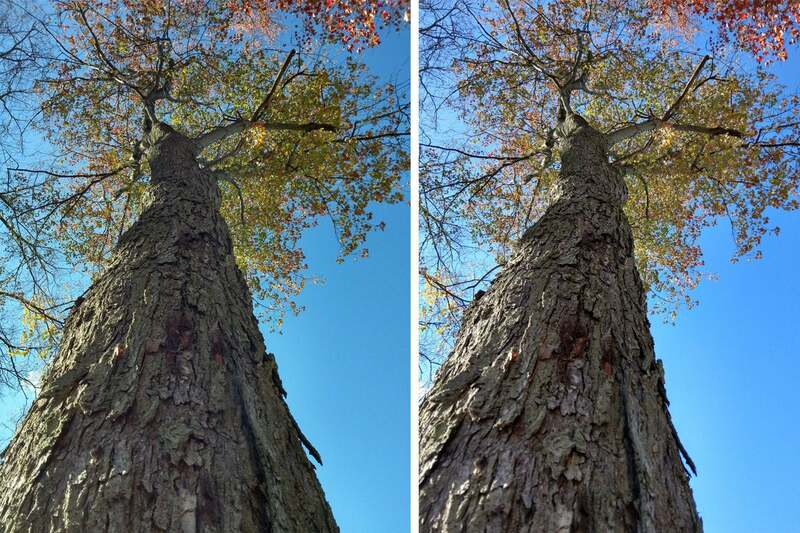 Upon close inspection, the U11 (right) captured a bit more definition on the tree bark compared to the U11 Life (left), but the images are very similar. 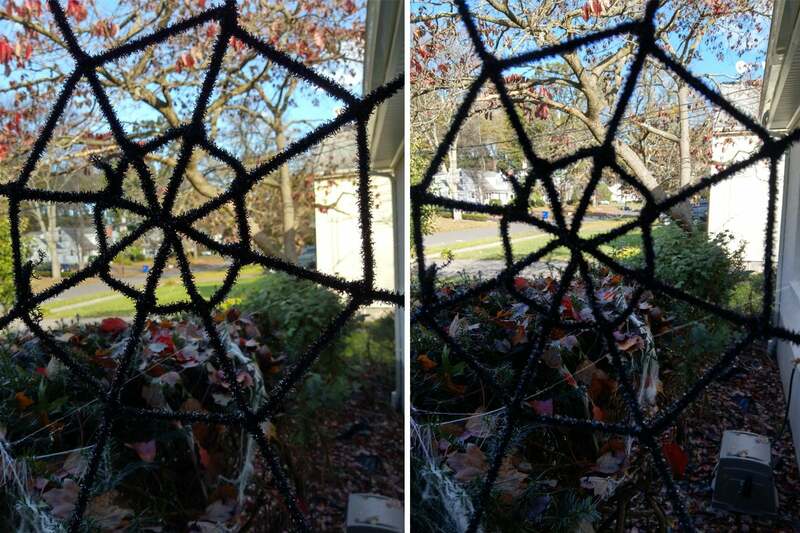 I actually preferred the U11 Life's focusing abilities here (left) over the U11 (right), which saw through the spider web. The U11 Life doesn’t have a dual camera setup like on the Moto X4 or optical image stabilization like on the HTC U Play, so backgrounds won’t be blurred but low-light images might be. Overall, however, the camera is remarkably similar to the one in the U11, which costs nearly twice as much. For budget-conscious parents and Instagrammers, the U11 Life will be a reliable and effective memory maker, even if it doesn’t have many of the coolest 2017 camera features. Right off the bat, if you’re a Verizon or Sprint customer, you can forget about the U11 Life unless you want to switch carriers. The phone is launching as a T-Mobile exclusive, though HTC told me that unlocked handsets bought through HTC.com will play nicely with AT&T’s network. The USB-C port isn't centered on the HTC U11 Life, so plugging it in requires extra focus. The HTC U11 Life is a mid-range version of the flagship U11, but it doesn't skimp on the features. Good price point for the features. Excellent audio through the bundled USB-C headphones. Edge Sense way more fun than Active Edge on the Pixel 2. Battery is a bit on the small side. Camera can be slow to focus, especially in low-light situations.